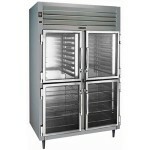 We can save you the cost of a new commercial freezer. Some products are not the same when they are not properly frozen at its optimized temperature. A malfunction to your commercial freezer can cost you a lot of loss dollars and revenues. It would not be ideal to not miss out on business opportunity because of a broken freezer. If you would be unable to offer your customers food that’s on the menu, they will essentially go to your competitors next door or around the block. It’s vital that you get your commercial freezer repaired as soon as possible. It will improve your business operations. We personally have seen what our competitions have done to repair appliances. It makes sense in some cases that you would get a brand new appliance all together. We completely understand where you are coming from. It’s clear to us that some of our competition only cares about a quick buck and a high turnover. That’s not us at all. We care and strive every day to outperform our appliance repair Los Angeles competition and stay on top in this industry. It’s imperative that you know that the repair on your commercial freezer might not cost as much as you would expect. It’s our appliance repair duty to go to great lengths to maintain our overhead and keep it low. Every detail matters to our operational input and output and we understand what it takes to keep overhead low, so we can offer adorable commercial freezer repairs for Los Angeles residents and business owners. We love that we are able to pass the saving on to you. Based on the call or email request you provide, one of our highly trained commercial freezer repair Los Angeles customer service representative will be able to provide support and schedule a service call within the same day. 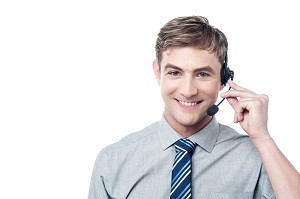 Our reps are very nice, empathetic, and highly skilled to dispatching a specialist for your request. We are ready to help now, give us a call. All estimates are free with completion of repair. There are no hidden fees with regard to your commercial freezer repair and all estimates are transparent and to the point. Let Commercial Appliance Repair go to your business and repair your appliance so it can work as good as new. Pay attention to the temperature of your commercial freezer. Is it not cooling properly? It may be time for a service call. Freezer repairs range and may be a number of things. To be sure that you receive the best Commercial Freezer Repair in Los Angeles, it will require a professional diagnostics. By taking advantage of our commercial appliance repair services there is a great opportunity you will be able to save your business the cost of a brand new commercial freezer. By implementing a few insightful repairs, we could extend the life and productivity of your current commercial appliance by several years. It’s obvious to us that we need to hire the best commercial freezer repair techs available. We pride our skills and talent and want our repairs to withstand the test of time. Just as there are quality parts, there are quality technician that have a lot of value to offer. We don’t believe in a high turnover nor do we ever rush a repair. Every job is an opportunity to create a lasting business relationship and build upon the success we have already earned. When you contact Commercial Appliance Repair and schedule a service visit, you can rest assured you’re going to be in good hands. Our commercial freezer repair technicians are brilliant and are always on time. There are no gimmicks or hidden charges ever. Like we said, every corner is examined to ensure that you’ll get the best repair available. The sooner you contact our office and notify of the damage that’s associated with your machine, the sooner one of our expert technicians can make the repair and resolve any issues. We want you to get back to using your commercial freezer the way it’s intended to be used, to keep your products frozen. The moment my commercial freezer stopped working properly, I called commercial appliance repair to schedule a service visit. It was very important for me to get same day repair so I wont lose money on food and customers. The technician came within the 2 hour window and repaired the freezer to work as good as new. I was also advised on tips to avoid service calls for the future. They care about local businesses and this is why I recommend their services to everyone.